- I've seen the pin outs for the plug. 3 +5 and 3 grounds. Are there actually 6 wires inside that power cable, or is it just 2 wires, each attached to 3 pins? 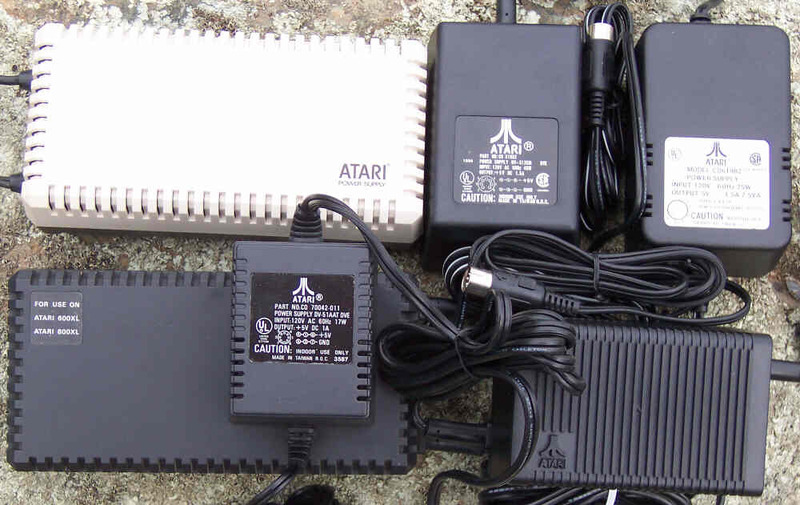 - out of curiosity, I've wondered a few times through the years why Atari used a power connector with so many pins. Are those 3 "pairs" of pins connected to different parts of the circuit board, or are the 3 +5v pins tied together and just connected at one point on the board. If tied together, what was the point of having 3 separate pins? - back in the day I was into programming...the software side of things, not the hardware, so I never bothered to learn much about circuits, etc. But again, out of curiousity, how would a loose connection in that cable cause the odd color shifting I was seeing? I would expect a bad connection to cause the power to just cut out completely, not shift screen colors but otherwise keep functioning. Unless the 3 pins do have separate connections and just the pin going to the video circuit has a loose connection? - and lastly, the most obvious question.... What's my best source for getting a replacement connector? And possibly with wiring already soldered to the pins so that I can skip that somewhat difficult (for me) step and just splice the wires. Much thanks for any replies. You can get a new one from B&C Computervisions. I bought one and it works great. Edited by tjlazer, Sun Nov 27, 2016 8:05 PM. The colour change is probably because it's broken sufficiently that not enough current can get through. Mine went bad too, I just resoldered it and reinforced with a bit of silicone heat glue. There's only 2 pins actually involved in the power process so it's an easy fix. I believe one of the reasons Atari used the 7-pin DIN plug for power may have been so it couldn't be mistakenly plugged into the monitor jack. Good god he wants more to ship it than he sellsit for. California to Indiana isn't 15.45 in shipping, especially with the delivery estimate of December 12th ordered on november 30th. You can use any +5v PSU for 1.5A or more current. Only need to desolder/solder old / new connector. Are you sure it is the plug and not the mobo jack/connector? Ive had to replace two xl jacks for the exact conditions you mention. In a perfect world, you might replace both. Long time ago when the original MyIDE plus flash came out, I tried an IBM microdrive in place of the CF card. The microdrive took additional current when writing, and the colors went funky during writes. Also, if you have oxidation on the pbi contacts of a Black Box, you can also get similar shift. BB has tin contacts. Definitely in the power supply plug. Using another power supply works fine (can wiggle the cord/connector all around with no color shifting or other anomalies).